Gbadamosi is an exceptional writer of Nigerian/Irish heritage, who describes with poetic rhythm a child’s awakening in a violent, confusing London. 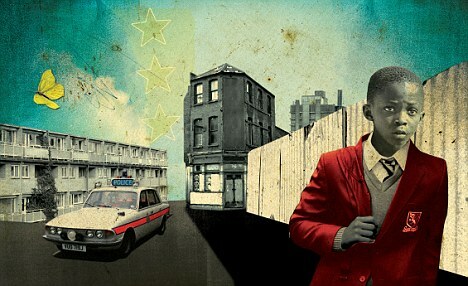 The boy Michael lives in a rat-infested, overcrowded house in Vauxhall in the Seventies. His story is full of people leaving – his friend Emily is taken away by her family, his school friend Brian disappears and even his mother leaves his Dad (though she does come back). Finally, Michael must move on, too, as their house is to be demolished to make way for the new tower blocks. Yet this is not a bleak tale. Told in a series of vivid and often comical vignettes, the story of Michael’s childish navigation of street games, school, Catholic priests, the police, racism, lavatorial disasters, bunk beds, social workers and even the unkindnesses of an elder sister is underpinned by wisdom, love and warmth. 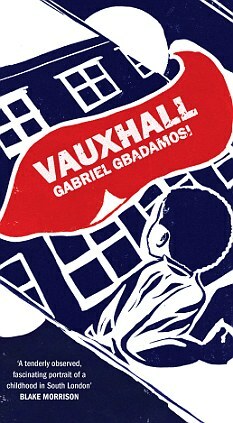 Invisible Vauxhall, a guided walking tour by downloadable app. Stop and Search by Gabriel Gbadamosi (Oberon Books, 2019) Publication. Stop and Search at Arcola Theatre, London (9 Jan to 9 Feb 2019) Production. A driver picks up a young man crossing Europe. Two police officers work a surveillance case. A passenger directs her taxi to the edge of a bridge. Three conversations grow increasingly uneasy. From award-winning writer Gabriel Gbadamosi comes a visceral and poetic new play, exploring a time of distrust where the lines blur between conversation and interrogation. Stop and Search explores our deep ambivalence about the ways we police each other. Had the privilege of an early draft – loving the finery of the finished piece. A joy to read this beautifully written novel, the characters are crafted with such care amidst the rough truth of their surroundings. I am just finishing the novel, and have loved every second. Dark, naive, confusing – I loved being as anxious and in the dark as the protagonist, when humorous, terrible or confusing things were happening all around. Beautifully and simply written; evocative, without being in any way pretentious. Loved it.